I still remember when I began learning how to drive. It was a terrifying yet exciting experience. I can certainly say that knowing a safe, quiet place with wide, flat roads and almost no traffic helped me when I began. 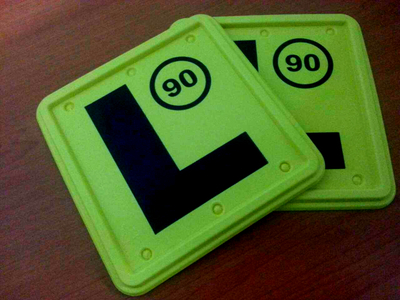 Which places in Sydney do you find most appropriate for beginner drivers to practise their skills? I started driving on the streets of Silverwater by the factories. The roads were wide and flat, and on weekends the area was practically empty, with the exception of maybe one or two other learner drivers. I felt that it was the perfect place to begin driving. I have heard that Pennant Hills Park is also a good place to start, but I never drove there, so I cannot say for sure whether it is. I was never a learner in Sydney, but if I were I would get someone to take me out to the Blue Mountains and do some driving there. The roads are a little more quiet, so less intimidating. Plus, it's a great excuse to visit the Blue Mountains! I know people who first learnt how to drive in Sydney in the back streets of Rosebery. The speed limit is only 40 km/h. Quiet streets are good.